March ended with Strange, Galactic Forces on the Rise. 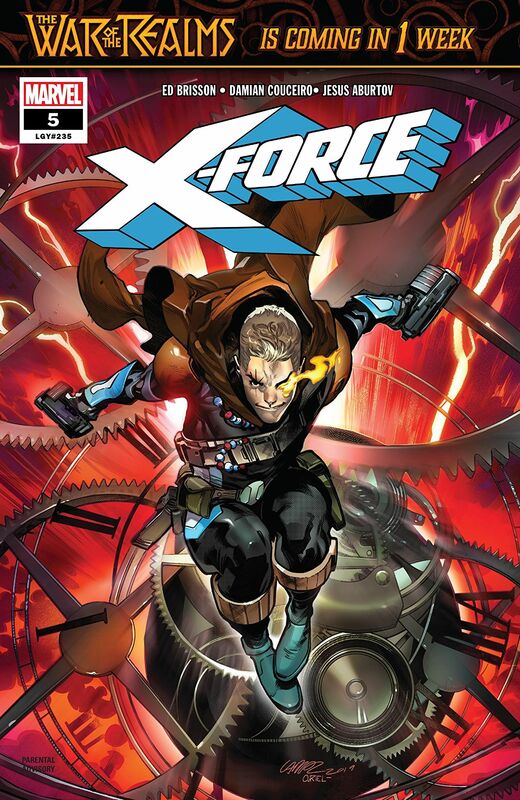 X-Force, the team book of the week with 25 points, answered one of Marvel’s most recent mysteries: What is Kid Cable’s origin? The answer was similar to his elder self’s background. A time-displaced soldier set out to correct the time stream, and like the original Cable, he was also pursued through time by his cloned-nemesis Stryfe. The latest reunion of Cable and Stryfe nearly proved deadly for Warpath, but the reunion of the Marvel Rising team proved informative for the young heroes. Squirrel Girl treated Ms. Marvel and Miles Morales to a tour of Empire State University. Their book earned 22 points and set up a conflict with the Arthurian sorceress Morgan le Fay. Galactus appeared in a fairly low-scoring Fantastic Four team book (14), as well as the Doctor Strange solo title, which scored 14 points as well. In his book, Doctor Strange had to deal with the threat of Galactus being transported to the magical realm by an alien sorcerer attempting to save his planet from the Devourer of Worlds. Strange earned 12 points on the week, most for a character besides Marvel’s flagship characters Spider-Man and Wolverine. The top solo title belonged to Amazing Spider-Man once again thanks to the numerous characters involved in Kraven’s latest hunt. Amazing was also the overall book of the week with 48. It beat the other consistently high-scoring Avengers: No Road Home event book which put up 43 points. Wolverine’s biggest title came from the second-place event book, Hulkverines. The middle issue of the three-part event earned a review score of 29 points and featured the trio of rampaging characters team-up before having to face some of their main antagonists, the Leader and the Weapon X program, working together in the finale.